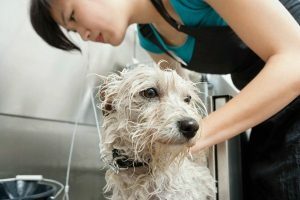 With the pet business becoming a multi-billion dollar business in recent years, it is telling us that more and more people have pets and are taking care of them. Among the fads, if you want to call it that, are “doggy daycares”, mobile groomers and dog parks. 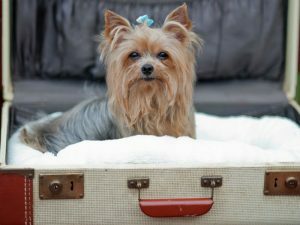 A lot of these services are great ideas as far as convenience is concerned, but how safe are they to our pets? Especially the dog parks. No, I am not going around and saying that dog parks are bad for you dog, but there could be some hidden dangers that may be lurking for the unprotected dog. 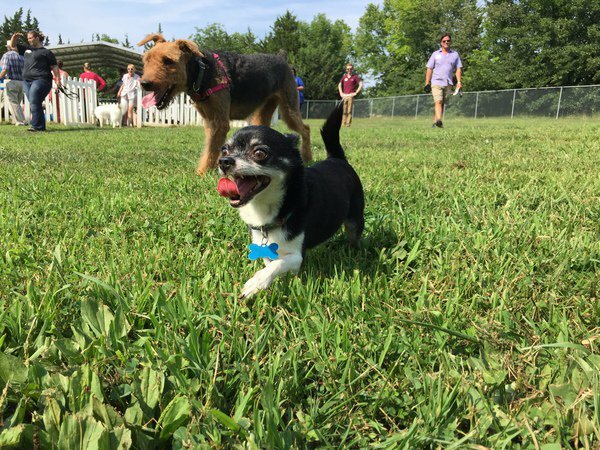 Most dog parks are public places, so there is a good possibility that not all dogs are properly vaccinated against diseases such as Parvovirus, Roundworms, or even Kennel Cough. 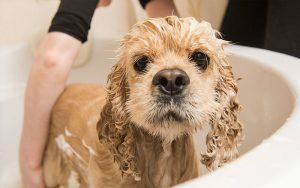 These diseases can occur during direct contact with another dog, or even if your pet has licked an area that harbored the diseases or parasites. 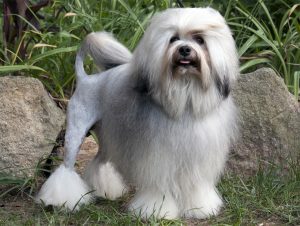 So my advice is to make sure that your pet is currently vaccinated for all diseases. If they’re not—do not take them there. 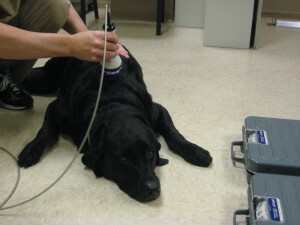 It is not worth it to possibly expose your pets to those diseases if you can help it. We all see the dogs being playful in the park, but how do we know that the other pets can’t become overly aggressive? Because of this, I would recommend that your pet be kept on its leash. I know that is not the reason for dog parks, but that way you can control your pet if they or another pet exhibits some aggression so that you may prevent injury and not be faced with a costly veterinary visit. 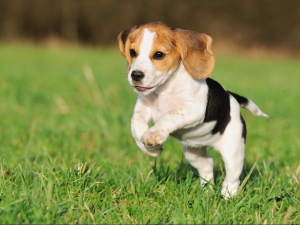 If you allow your pets to run free in the park, injuries such as torn cruciates and other lamenesses can occur. To reduce this possibility, it might help to train your pets for the rigors that a dog park presents. Dog parks are popping up in a lot of the communities. Realize that just because they are in a fenced in environment, they are not always completely safe. If you have any questions or issues, please feel free to contact us or give us a call at 618-656-5868. 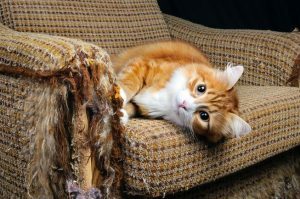 Is Your Cat Scratching Up Your Furniture? Is your cat scratching up your furniture? Many people who own cats can vouch that their cats have four appendages that most know how to use to efficiently destroy the furniture in the humans home or the human’s other belongings. Every now and then, I am faced with doing a declaw on some our furry feline patients. Not only can they be pricey, but it can be one of the more tedious and frustrating surgeries with some possible complications arising. Cats mark their territory by scratching, much like dogs urinate to mark their territory. Cats have scent glands on their paws, so when they scratch, they leave it on that area. This also marks visually by leaving the shredded material behind as evidence and displaying dominance to other submissive cats. 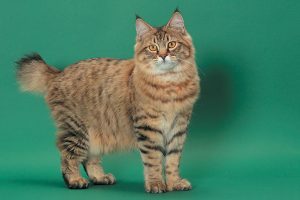 Scratching also allows the cat a way to exercise and stretch along with removing their old sheaths. So what are some alternatives that owners can try to avoid having the declaw surgery which is actually an amputation of the bone at the distal joint? Well, a person may supply their pet with a scratching post or pads to develop healthy scratching habits. By applying catnip or treats, you can attract them to their designated scratching areas. A no cost procedure would be to trim their nails every one to two weeks. This will cut down on the need to scratch as much. This is easiest to do if you start when they are kittens. There are double-sided tapes that can be put on furniture that is unpleasant for cats. The use of pheramones like Feliway sprayed on the tape can also reduce the cat’s desire to scratch. Lastly, there are nail covers like Soft Paws to place over the nails. They are only temporary, so they will need to be changed regularly as the nails grow. 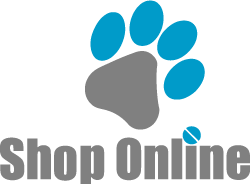 To avoid the destructive behavior of cats, cat owners must be willing to invest time and money. If not, there is always the surgical route one can go. 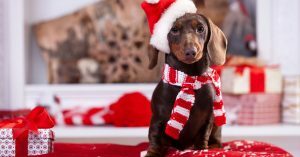 If you need advice or help with this or any other issues, please don’t hesitate to call us here at the Olsen Veterinary Clinic. The phone number is (618)-656-5868.